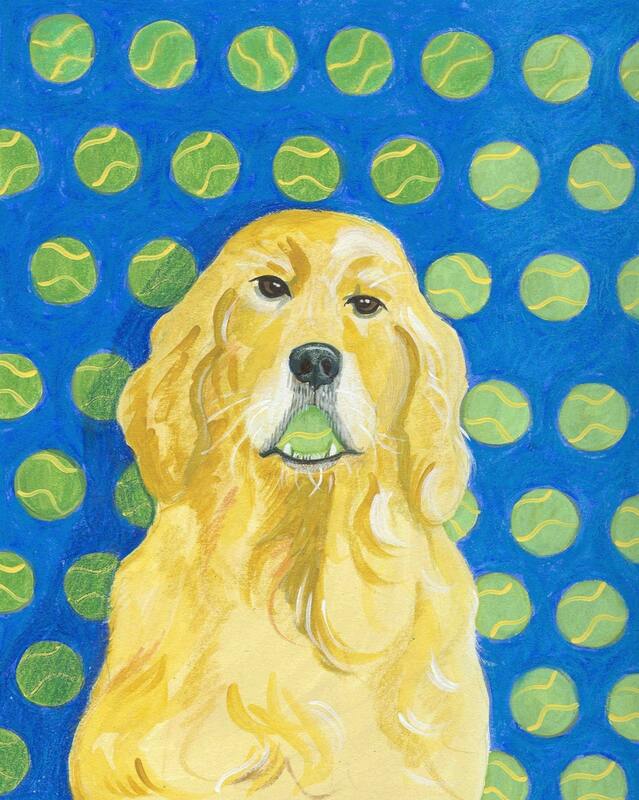 What Golden Retriever doesn't love tennis balls? This is a drawing from my archives back when I was sending out greeting card portfolios. The notecard measures 4x5" and comes with a colored envelope in a protective cello sleeve.